A Pearl Crescent butterfly feeds on catmint flowers. A female Eastern Tiger Swallowtail butterfly feeds on our native buttonbush, Cephalanthus occidentalis, at the Williamsburg Botanical Garden. who become Fathers by affection and commitment. Being a real father is a choice. without their guidance and their love? 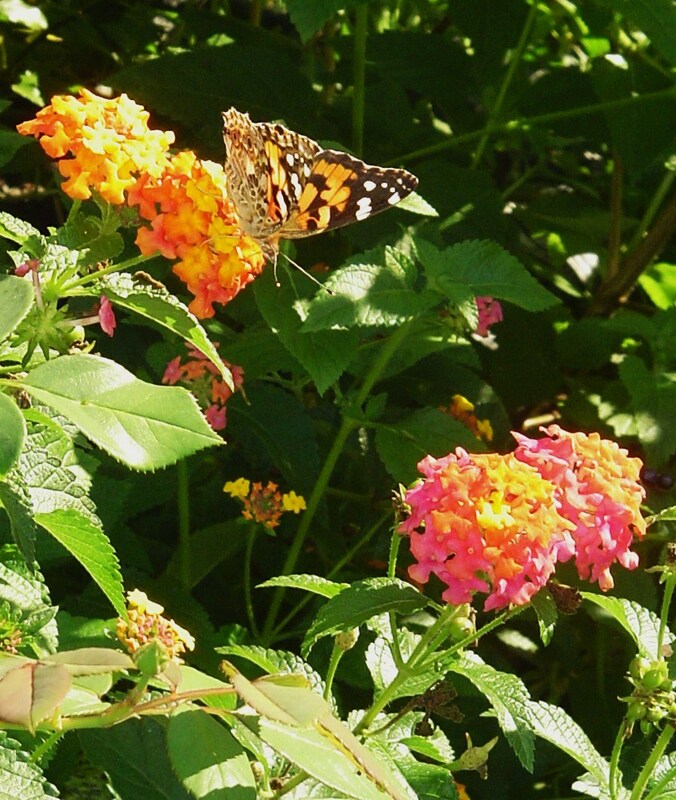 We were both so happy to see the Lantana alive with butterflies again this afternoon as the temperatures climbed into the 80s. Two Painted Lady butterflies enjoyed feeding on the flowers. 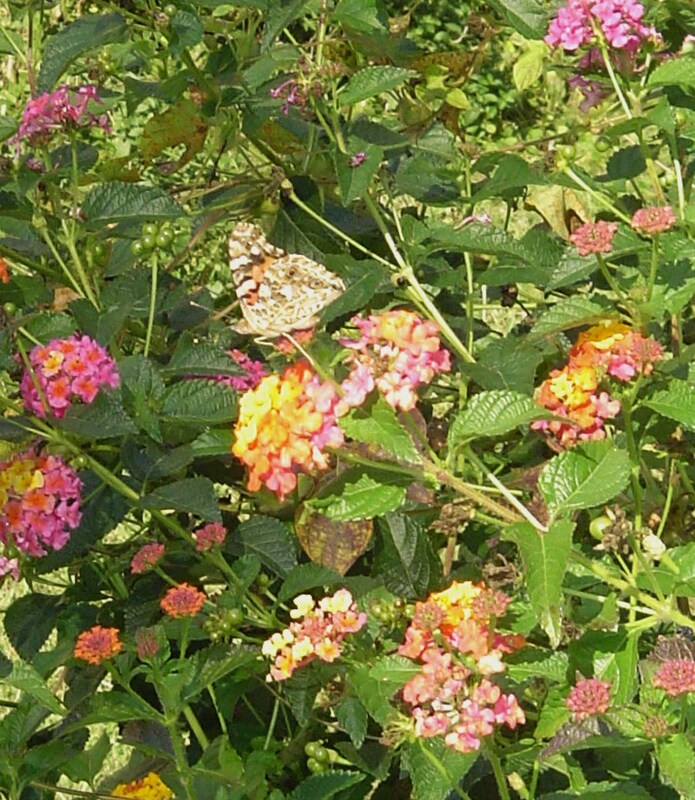 They shared the bed of Lantana with a single Swallowtail, its wings badly damaged, and with the beautiful clear yellow Cloudless Sulphur butterflies who have been dancing in the air all summer. Several small moths joined in their feast. We are due for a stretch of warm afternoons over the next few days, and we are looking forward to enjoying the flight of the butterflies for a while longer.